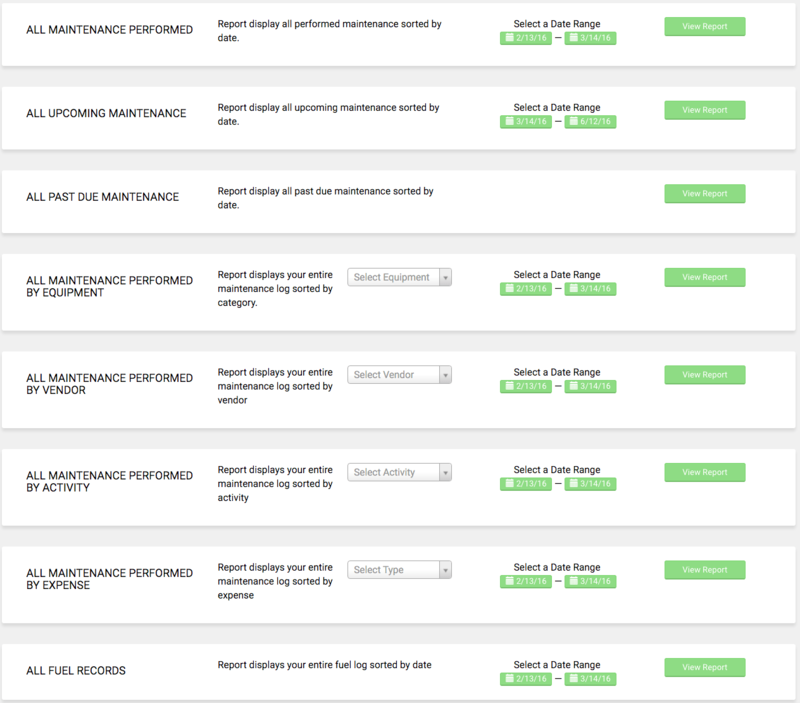 Reports is one of the features that really makes Maintain My RV valuable. You can run a variety of reports for a variety of reasons. You can print a report of what’s past due and tell your servicer exactly what you want done. 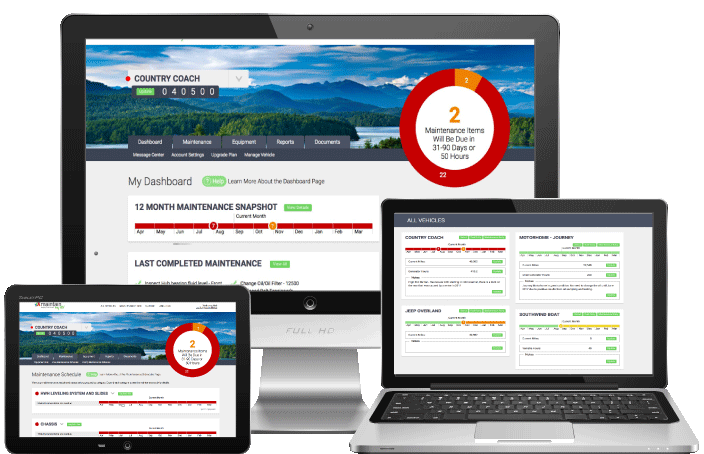 Or you can print a report of the maintenance you have done and increase the value of your RV as you sell it. Our customers have found a number of uses for the reports and we are sure you will as well. There are currently a total of 8 reports that can be customized for exactly what you are looking for. Based on the report you can select a specific value such as Equipment and or a date range for activity or fueling information your looking for. In the above example for the maintenance activity “Test under load” for the generator, you can see it was last performed at 190 hours. The current hours on the generator which you cannot see on this view is 200. However this item is past due because the schedule calls for this activity to be performed every 200 hours or every 1 year. After viewing your reports on screen you have the option of printing it as well. This can really come in handy when taking your vehicle in for service, showing it to a perspective buyer or figuring out what parts to buy for this weekend’s project.